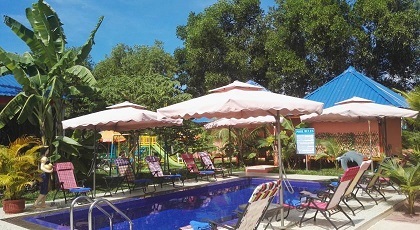 Built in 2008, Nataya Round House Coral Bay Resort is a distinct addition to Kampot and a smart choice for travelers. The city center is merely 17. Km away and the airport can be reached within 180 minutes. With its convenient location, the hotel offers easy access to the city's must-see destinations. 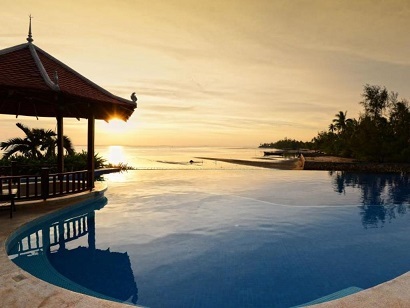 At Nataya Round House Coral Bay Resort, the excellent service and superior facilities make for an unforgettable stay. Guests of the hotel can enjoy on-site features like free Wi-Fi in all rooms, daily housekeeping, taxi service, ticket service, wheelchair accessible. The hotel features 23 beautifully appointed guest rooms, many of which include television LCD/plasma screen, internet access � wireless, internet access � wireless (complimentary), whirlpool bathtub, non smoking rooms. The hotel's recreational facilities, which include hot tub, private beach, sauna, outdoor pool, spa are designed for escape and relaxation. Discover an engaging blend of professional service and a wide array of features at Nataya Round House Coral Bay Resort. 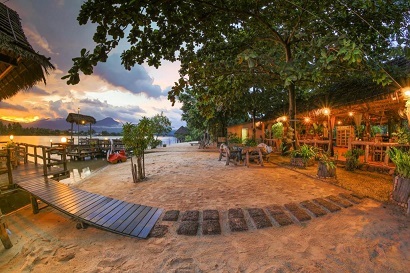 When visiting Kampot, you'll feel right at home at Natural Bungalows Restaurant and Bar, which offers quality accommodation and great service. The hotel lies 1.0 km from the city center and provides accessibility to important town facilities. 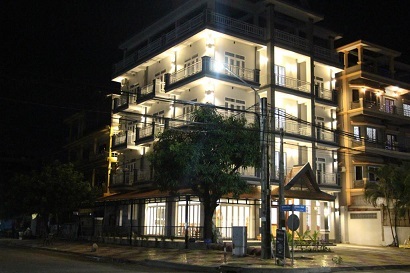 A well-kempt environment and its proximity to Farm Link, Kampot Market, Durian Roundabout give to this hotel a special charm. Offering hotel guests superior services and a broad range of amenities, Natural Bungalows Restaurant and Bar is committed to ensuring that your stay is as comfortable as possible. The hotel provides 24-hour room service, free Wi-Fi in all rooms, facilities for disabled guests, luggage storage, Wi-Fi in public areas to ensure our guests the greatest comfort. Natural Bungalows Restaurant and Bar is home to 24 bedrooms. All are tastefully furnished and many even provide such comforts as television LCD/plasma screen, clothes rack, complimentary instant coffee, complimentary tea, fireplace. The complete list of recreational facilities is available at the hotel, including private beach, fishing, spa, massage, children's playground. Discover an engaging blend of professional service and a wide array of features at Natural Bungalows Restaurant and Bar. 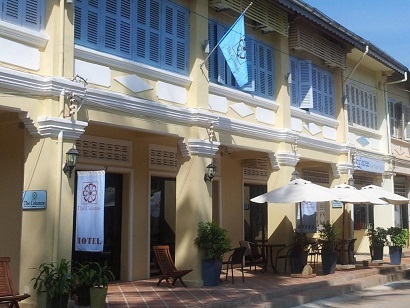 This hotel offers guests a luxurious stay in Kampot. All the stylish, air conditioned rooms have a veranda where guests can sit back and enjoy the scenic views of rivers and Bokor Mountain National Park. All the spacious and airy rooms guarantee a comfortable stay with great service from the friendly staff and nice restaurant on the terrace serving Western and Asian food. The facilities include 24-hour security, free internet Wi-Fi access, multi-channel cable TV, an IDD telephone, and an en- suite bathroom with hot and cold water. 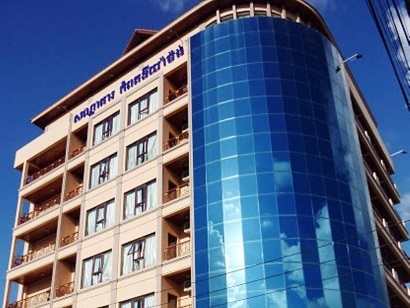 Kampot Diamond Hotel is sure to impress all the visitors. The ambiance of Little Garden Guesthouse & Restaurant is reflected in every guestroom. television LCD/plasma screen, slippers, towels, internet access � wireless, internet access � wireless (complimentary) are just some of the facilities that can be found throughout the property. Throughout the day you can enjoy the relaxing atmosphere of the massage, garden. With an ideal location and facilities to match, Little Garden Guesthouse & Restaurant hits the spot in many ways. Oozing with French colonial charm, each of the 17 rooms at this lovely hotel has all the comforts and conveniences of home. All rooms have an LCD/plasma screen TV, in-house movies, shower, as well as other amenities. For the comfort and convenience of guests, you'll also find bicycle rentals or enjoy the Wi-Fi in your own rooms as well as public areas on-site. The hotel blends expert service with state-of-the-art facilities to provide guests with a memorable stay. Enjoy a cup of fresh coffee or a cool fruit shake in the lobby coffee shop or out of the patio while watching the happenings of the beautiful French colonial town. Reservations at The Columns Hotel are simple via our secure online booking form. 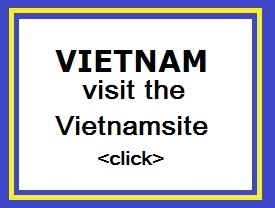 Just enter your desired dates and submit. Offering an outdoor pool and sun terrace, The Orchid Bokor Boutique Resort is set in Kampot in the Kampot Province Region. Guests can enjoy meals at the in-house restaurant. Free WiFi is available throughout the property and free private parking is available on site. Each room is fitted with a TV. Certain rooms include a seating area to relax in after a busy day. A balcony or patio are featured in certain rooms. There is luggage storage space at the property. Orchid Bokors Boutique Restaurant serves up a variety Asian and international cuisine.